Contributed by Dale Isley, STOC #5341. 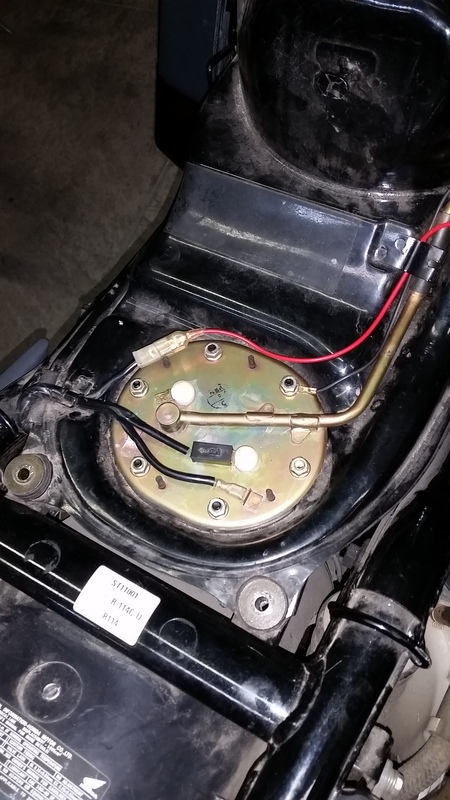 I thought I might post my solution to replacing a dead fuel pump on an ST1100. 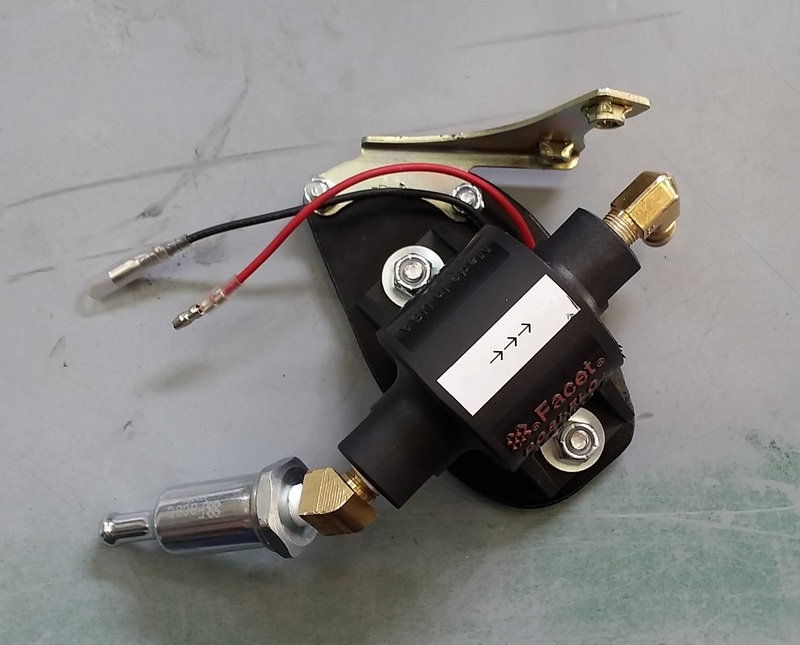 A lot of people have used Carter or Honda Automotive pumps and attached them to the stock fuel pump assembly. 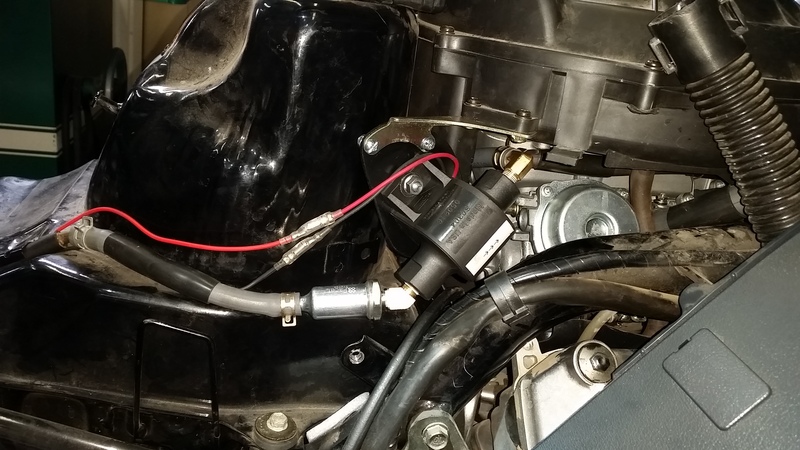 I decided to go electric and mounted it to replace the Auto Fuel Valve that many have already removed from their systems. In this application you simply leave the dead pump and everything in your fuel tank alone. The Facet pump will use the old dead tank set up as a pick up tube. 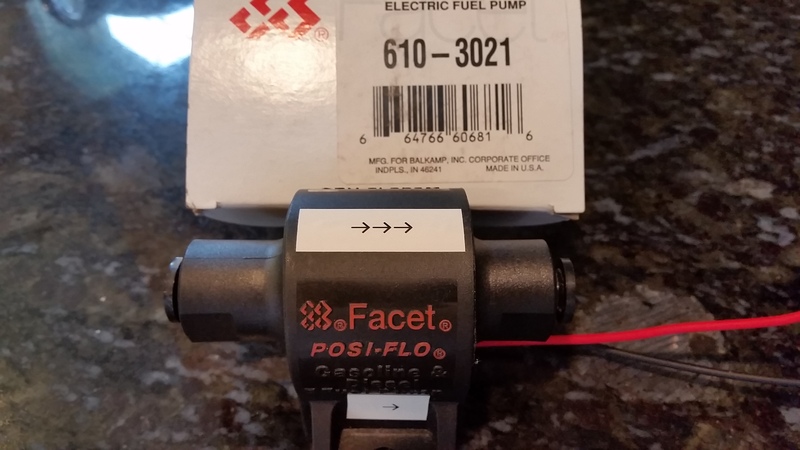 NAPA has a part number 610-3021 which is the Facet Posi-Flow pump and even came branded that way. Rated at 1psi-2psi at 7gph (this is the lowest rating... some sites have it rated as much as 1.5psi-2.5psi at 25gph) I thought it would be a better fit that the 40178, 40177, etc, etc. Since it is a Posi-Flow it is rounder than the Cube and should fit easier as well. It is about $70 - $80 at the time of my purchase through NAPA. It can be had for a bit less online, but I wasn't willing to wait for the little savings once shipping was added to their lower price. 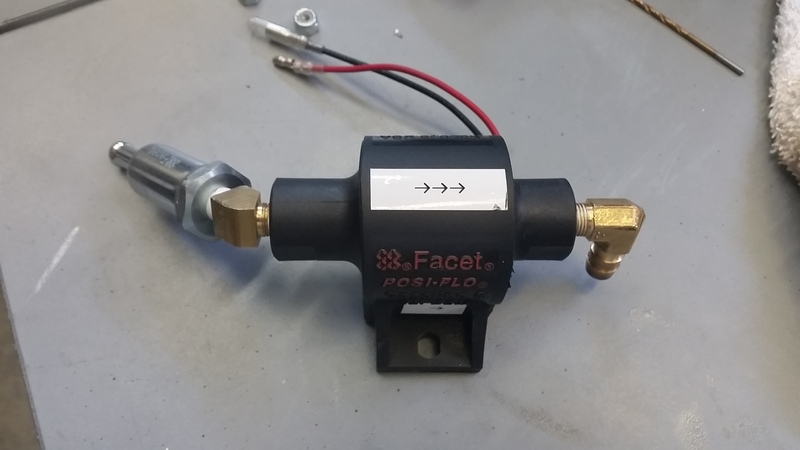 The Facet Posi-Flow page here: http://motor-components.com/shop/oem/#posi-flo shows it as the 60304, rated on the Facet site as 1psi-2psi 15gph with a 50" wet lift. 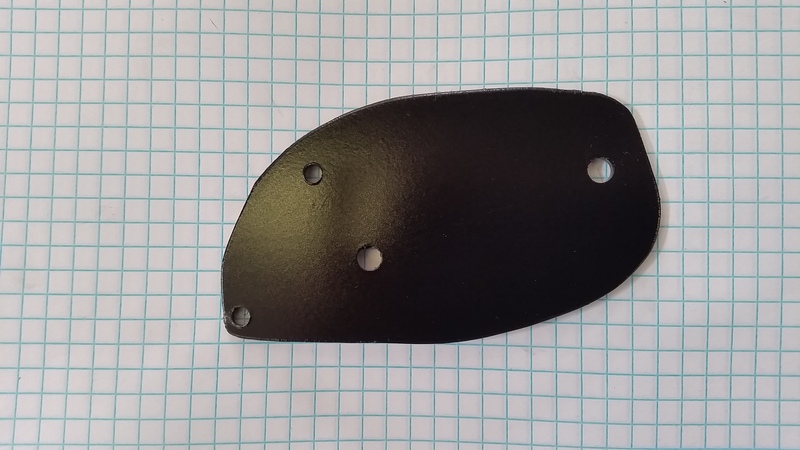 I fabricated this bracket and painted it black. This will locate the pump on the right side of the air filter housing using the bracket from the Auto Fuel Valve. You will need to add a 90 degree fitting to the outflow side. 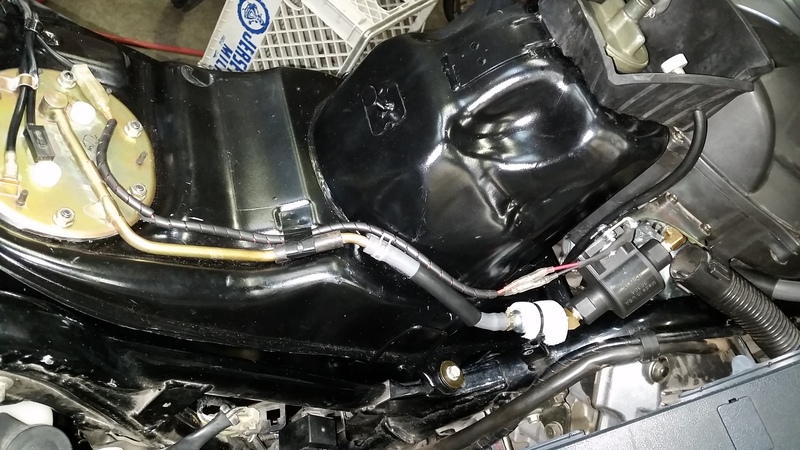 The stock outflow fuel line has a 90 degree bend molded into it. 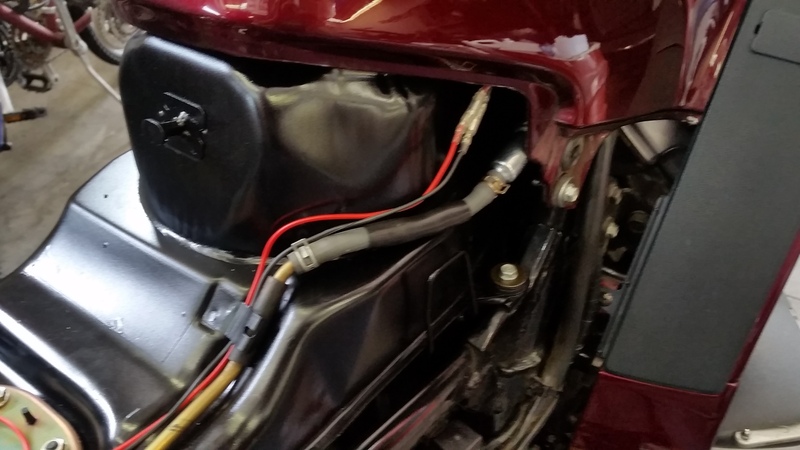 You will be removing the molded bend from the fuel line and once cut you will attach it to the fitting. 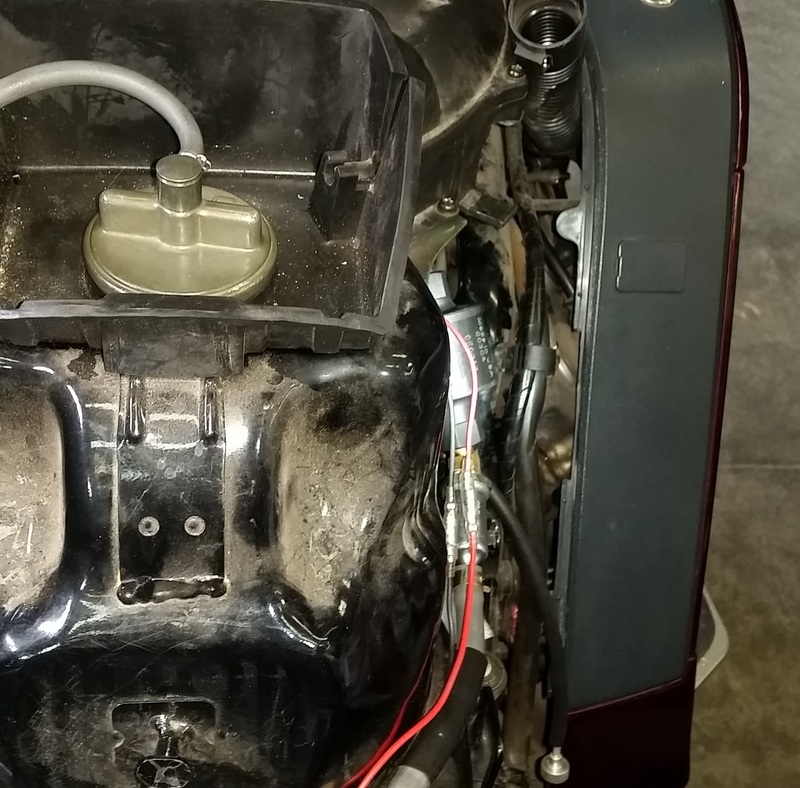 There is a 45 degree fitting on the inflow toward the tank, where I inserted an inline fuel filter. The Fuel Filter is NAPA Part number 610-1085 and it is a Balkamp part number FEP735. This is the bracket with pump and fittings attached to the Auto Fuel Valve bracket ready to bolt to the air filter housing. A few pictures showing the position of everything in place. Pump power was pulled from the spade connector going to the stock pump. 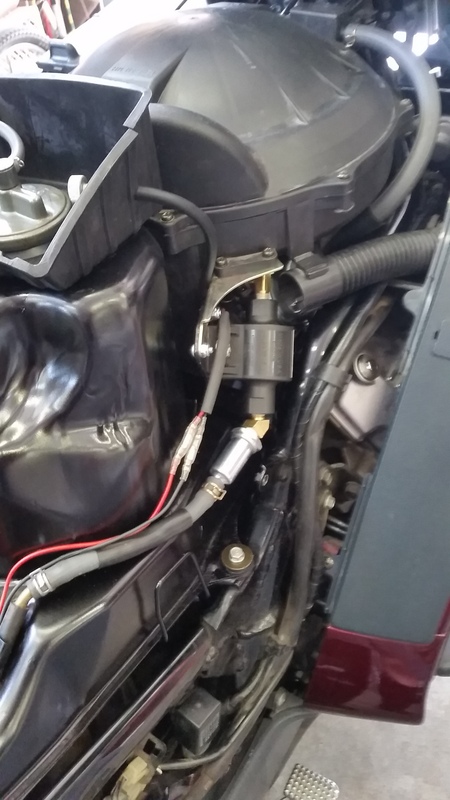 Here is a picture of the new pump, wiring, and you'll notice I wrapped the inline fuel filter in some closed cell foam with a zip tie. This is to protect the plastic once the air filter cover is installed. Tupperware going back on... this picture was taken before I wrapped the electical with protective plastic loom, which you can see on the previous picture. 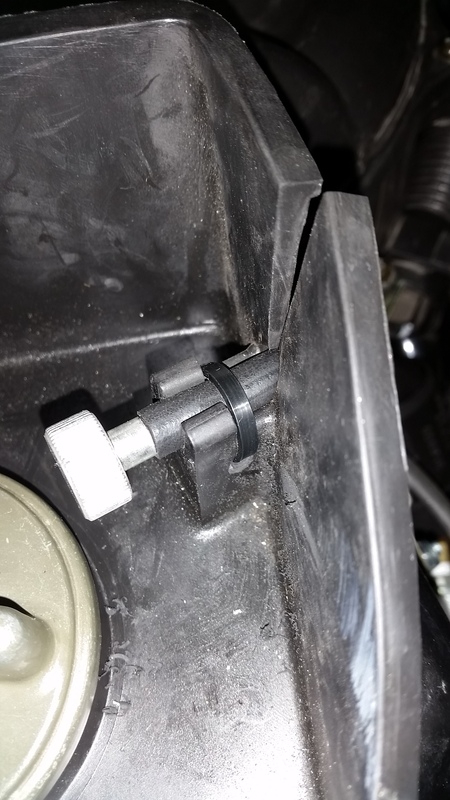 While it is all apart, remove the rubber insert around your fuel cap, drill a hole through the bottom of the idle adjuster hold down, and thread a zip to hold that sucker. Makes turning the knob to adjust your idle SO EASY! I've been running this configuration for about a year, over 8k miles, and have not had any issues. As I said, just an option. I can carry an extra fuel pump and filter in my under seat storage with my tools and be able to change it out on the road if failure occurs.